What a wonderful feeling it would give you to teach someone about your passion of sewing! Not only would you feel proud of that person’s accomplishments, the person doing the learning would feel “on top of the world” to have created something unique and useable. If you’re wondering where you could begin, start with some children – your own children or grandchildren or friends or neighbor’s children. I would say around 5-8 would be a good age to begin teaching them the basics of sewing. I started my grandchildren on the very basic stitching by using sewing cards (here’s an example of a set that I used). After they got the hang of doing even stitching around the sewing cards I brought out my Learn How To Sew book and turned to the hand sewing projects. After picking a few of the hand sewing projects and making them, the children were HOOKED on sewing – they were so proud of the things they made they could hardly wait to get them home to show their parents. By doing hand sewing projects first I could introduce them to various stitches for them to practice while actually making something, as well as getting them used to using, threading and being careful with needles. When the time came for moving on to using a sewing machine, the same book, Learn How To Sew, has very clear pictures of the various parts of the sewing machine that the kids need to know, then it moves on to practice pages for beginner sewing – learning how to sew following straight lines, circles, and slightly more complicated stitching designs. For very beginning sewers, we recommend that you make the practice sewing projects out of pattern paper for ease of use, then let them follow the stitch lines without thread in the machine. After they get the feel of how to start / stop / turn on the machine, it is time to add thread and use the same practice designs before moving on to making an actual clothing or craft item. There are many ways to set up sewing classes for children — go “one on one” with a child, or if you’re going to teach older kids (8-10-12 year olds), you could set up the classes in groups of 4 per class or 6 or the number you feel like you could easily handle. In order to teach actual sewing machine skills, you will need to have a sewing machine for each student. We have found that going to flea markets and yard sales, we’ve found good sturdy older machines that just need a little bit of cleaning, oiling and adjusting and it was ready for use. Of course you’ll need a little more room in order to put in the number of machines you’re anticipating that you’ll need for the number of students you want, so again, what we did was set up an area against a wall in the garage for the machines and it worked perfectly. 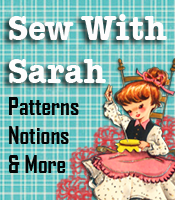 A couple of notes need to be mentioned here – first, be aware that there are also many adults that would LOVE to learn how to sew, so once the word gets out that you’re teaching sewing, you may have more than just children for your classes. A second note is to let you know that the Learn How To Sew book was written by my husband and me. When we wanted to start teaching our grandchildren how to sew, there simply wasn’t anything available for a teaching aid, so we wrote the Learn How To Sew book in order to cover all the aspects of sewing, and that it could be used for children and for teenagers and adults. Teaching someone how to sew doesn’t take very much time – perhaps an hour once or twice a week, depending on how often you want to do the classes. The sewing classes will make some extra money for your business in addition to giving you a good feeling about passing along your love of sewing to someone else. Oh No! My favorite and most expensive wool skirt got snagged and left a hole – is there any way you can fix it for me? Have any of your customers called and asked you that question? And what did you tell them? “Sorry, but I can’t fix holes in woolen garments.” That little hole in the woolen garment is going to grow and grow unless it is darned right away. Once the repair has been made, the garment has a whole new lease on life! Let me pass along some information about darning holes in wool garments. If it is possible to pull ravelings from a seam or the edge of the hem, or a like piece of material, these should be threaded into a needle and used for darning. Use the ravelings that come from the length of the cloth for the lengthwise darns, and the ravelings from crosswise of the cloth for the crosswise threads in the darn. 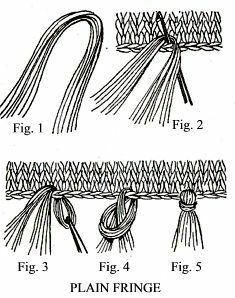 Try to imitate the weave of the material, that is if it is a loose material do not put the darning threads too close together. If it is closely woven material, make a tight darn. Do not make knots in the thread. Always work on the right side of the material to see how the darn is going to appear, but start and end the threads on the wrong side and leave loose ends of about half an inch of thread on the wrong side when starting and finishing off a thread. If there are ravelings, try to match the material with a thread of the same size as that woven in the material and the exact color. If the shade cannot be matched exactly always use a shade of thread a little darker than the material. And always use dull thread for darning. A good idea when darning is to put the material into a small embroidery hoop. This will keep the area from puckering while holding it and keep the darn nice and flat. If the darn is pulled too tight it will pucker when finished. If it is too loose the finished darn will puff out. After finishing the darn, shear off any small threads sticking up on the right side of the garment, but leave all loose ends on the wrong side. Press on the wrong side, and brush up the nap slightly on the right side. Sometimes, when it is impossible to match the color of the thread exactly, it is possible to find a fabric crayon or regular wax crayon, that does just match the color of the material. Always try it out by marking a few strokes on the inside of a seam. If it exactly matches, warm the crayon a little by putting it in the sun or in the oven for a very short time. then mark back and forth over the darn on the right side. Then put it between two pieces of wrapping paper and press with a warm iron. Try this, and see how you do. This is another area that you can specialize in – advertise it, and watch your business will grow. Fringe can be put on just about anything, from home decor items such as pillows and table coverings to clothing garment items like head scarves, jean jackets, sweaters and more. Oh, I know you can buy some types of “fringe” by the yard, but it doesn’t come in every color under the sun, and most importantly, it wouldn’t be “hand made” by you. Fringe is not hard at all to make — granted it is a little bit time consuming, but just like other things that take time, it will be well worth the extra time spent! Give it a try today! Cut 6 or 8 strands of thread or yarn (length depending on the article to which the fringe is added). Double the strands to form a loop (Fig. 1). Insert a crochet hook through the stitch at the edge of the article (Fig. 2), pushing the crochet hook through the back to the front of the garment, and draw the loop through (Fig. 3). Pull the loose ends through the loop as shown (Fig. 4), then pull the ends down tight to make a knot (Fig. 5). Repeat this process all around the article, making the fringe 1/8″, 1/4″ or 1/2″ distance apart, depending on whether you’re using thread or yarn, and how close together you choose to make the fringe threads. Trim tne ends evenly. Cut 6 strands of thread or yarn the desired length and make a row of plain fringe, following the instructions given previously for plain fringe. This is the base row for the double knotted fringe. Next pick up 6 strands of the first fringe and 6 strands of the second fringe and make a knot (fig. 6), 3/4″ to 1″ down and in the center between the two previous knots. Pick up the remaining 6 strands of the second fringe and the first 6 strands of the next fringe and make another knot. Continue in this manner all around the article. Trim the lower fringe evenly. Cut 8 strands of thread or yarn about 16 inches long and make a row of plain fringe, according to the instructions given for plain fringe. This is the base row for the triple knot fringe. 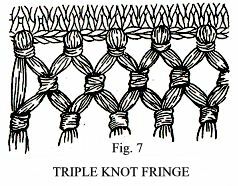 Now make a row of double knot fringe following the instructions given above for double knot fringe. Next work another row of knots by taking half of the first group of fringe and half of the next group of fringe and knot together about 3/4″ from the second row of knots (Fig. 7), keeping the knots centered with the ones above, as shown in the diagram. Continue all around the article. Trim the fringe evenly at the bottom. A size two blouse or shirt pattern is about the largest that can be made from a man’s medium size shirt. If the shirt is long sleeve you can make either a long sleeve or short sleeve blouse / shirt; and of course if the man’s shirt is short sleeve, you could only do short sleeves on the children’s blouse or shirt. The children’s blouse or shirt can be made with larger patterns if you’re using a large or extra large man’s shirt. ** Carefully cut up the shirt, following all the seams. Cut the sleeves so they will lie flat. ** Lay together the two front pieces of the shirt and pin the blouse/shirt back below the pockets. The blouse/shirt back is supposed to be on a fold, but when you’re making it out of a shirt, it just can’t be done. The next best thing is to make a seam up the middle of the back, which doesn’t detract from the finished garment. When you are cutting out the back, be sure to allow for the center back seam, otherwise the blouse/shirt back will be smaller than the pattern. ** Next, fold the back of the shirt. Pin the blouse front to the tail of the man’s shirt. Use the top of the back for strips for the front bands of the blouse. ** Lay the shirt sleeves together and pin the blouse/shirt sleeve as far towards the top as it will go. (If the elbows of the man’s shirt sleeves are worn, then the short sleeve blouse/shirt pattern is the only one you can use). ** Depending on the condition of the man’s shirt, you may not be able to cut a collar for the blouse/shirt, so you may have to use a co-ordinating color fabric that would go with the color of the shirt, or if the shirt is plaid or printed, use one of the colors within the shirt for the collar — and you could even use the co-ordinating fabric for cuffs on the sleeves (if making long sleeves) and for the front band of the shirt/blouse. By using men’s old shirts, the cost of the little blouse or shirt is only the labor that was spent in renovating the shirt.